A shortage of skilled health workers threatens many African countries progress toward reducing maternal and improving child servival. 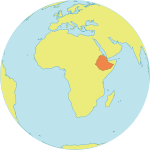 ADDIS ABABA, Ethiopia — Across most of sub-Saharan Africa, there are fewer than five doctors for every 100,000 people. Each year 20,000 health professionals leave their posts to pursue jobs in urban areas outside their own countries. That’s why innovative approaches to human resource planning and quality service provision are urgently needed if African countries are to reduce maternal death. Such an approach was presented at a recent conference in the Ethiopian capital on Human Resources for Maternal Survival: Task-shifting to Non-Physician Clinicians. Task-shifting means moving certain tasks, where appropriate, from doctors or other highly qualified health workers to health workers with shorter training and fewer qualifications. The aim is to make more efficient use of the available human resources for health. Studies have shown that the surgical outcomes of properly trained and supported clinicians are comparable to those of doctors, and that they stay at their posts longer. Moreover, by performing the emergency interventions at rural health centres, they eliminate the cost of referral to regional hospitals. In Mozambique, for example, where ‘técnicios de cirurgia’ have been trained over the past 25 years to combat a shortage of doctors, 88 per cent of these ‘téchnicios’ remained at their posts in rural areas after seven years. Over the same period, the retention rate for conventionally-trained physicians was zero. During the four-day meeting, participants -- including Ministers of Health, senior government officials, health programme managers, clinicians and heads of health training institutes -- from 42 countries, 29 of them African, discussed strategies for developing and deploying non-physician clinicians (NPCs) as an important means of reducing maternal death and disability in Africa. Increasingly, these clinicians have taken on specialized or higher-level clinical functions, performing critical procedures such as surgery, conventionally associated with faculty-trained doctors and specialists. This group also includes midwives and nurse/midwives who provide emergency obstetric and newborn care. “The challenge is to produce health professionals with the right skills and in sufficient numbers to provide family planning services in every community and basic and comprehensive emergency obstetric and newborn care in every district,” observed Dr. Werner Haug, Director of the Technical Division at UNFPA, the United Nations Population Fund. In a keynote address to the meeting, Professor Lynn Freedman, the Director of the Averting Maternal Death and Disability programme of the Mailman School of Health in Columbia University, stressed that maternal survival is fundamentally a human rights issue. She challenged the delegates to start seeing, thinking and acting out-of-the-box, noting the current dearth of human resources for maternal survival. She further urged members to approach obstetric care holistically to respond to social, cultural and economic contexts. The context in which NPCs work is, indeed, critical for their success. One of the major challenges to facilitating the high-quality care they can provide is to ensure that NPCs work in an ‘enabling environment’ – one in which they have the right skills, legal protection, equipment and incentives. Given these conditions, the quality of care has been shown to be equal to that of a surgeon, and retention rates among the best in the health workforce. The conference provided a unique forum for participants to share experiences with and research on NPCs as key health providers of quality emergency obstetric and newborn care in Africa and beyond. Burkina Faso, Ethiopia, Malawi, Mozambique, Tanzania and Zambia, among others are now shifting such care from physicians to highly trained NPCs and midwives in an effort to address their critical human resource gaps. Whether actively training NPCs or not, most countries confirmed that various tasks, from anaesthesia functions to blood transfusions, have often fallen onto the shoulders of clinicians and nurses in the most under-resourced areas – those on the front line, serving the neediest of people. The conference on “Human Resources for Maternal Survival: Task-shifting to Non-Physician Clinicians” was jointly organized by the Ethiopian Ministry of Health, AMDD, UNICEF, WHO and UNFPA. The conference coincided with the launch of a new resource, Monitoring emergency obstetric care: A handbook that details the newly revised indicators for measuring progress.